HÀ NỘI — The Trans-Việt Nam Junior Cyclists Tournament started in Yên Sở Park in Hà Nội on May 6. 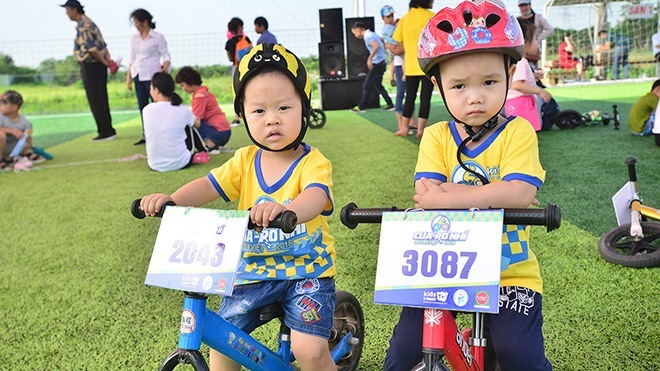 More than 500 kids aged 1-6 took part in the event which was co-organised by Kids & Family TV Channel and Việt Nam Cycling and Motor Sport Federation. The event aimed to enhance the mobilization ablity, strength training and life skills for kids. The Trans-Việt Nam Junior Cyclists Tournament’s other events will be held in HCM City on May 20 and Đà Nẵng on May 27.